My partner Toby and I are lucky enough to live in Canada, and more specifically the outskirts of Calgary amongst undeniably beautiful scenery and landscapes. 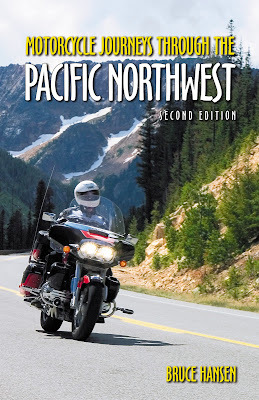 In my honest opinion, there is no better way to enjoy all that the area, has to offer than on a motorcycle (or sat on the back of one in my case on this particular occasion!). We regularly get out for rides and usually opt to ride together on one bike rather than taking the two of them out. We both find that the views and the company can be best enjoyed this way. During one long-weekend a month of so back, we opted to head over to the Kootenay Region of British Colombia. I had been to the area once before as a youngster and remembered being struck by the idyllic scenery. Ergo, we decided that it was the ideal spot for a ride, so we packed lightly and hit the road. It was a long trip from Calgary, which we broke up with a night in a B&B and we rocked up at our chosen campsite late afternoon. We woke up in our tent at the Toad Rock Motorcycle Campground. A friend had suggested this place to us, and it turned out to be a stellar recommendation. The route that Toby had planned out for us the first day would take us from the campsite, nearby Balfour, across the lake to Kootenay Bay, down to Nelson and then we’d complete the circuit by heading back north to Nelson. This route is approximately 215km and would take us between 3-4 hours riding at a comfortable speed with no stops. We had excellent weather for the first day, clear skies and a warm breeze. It was just eight miles down the road to the ferry port and we were on our way across the lake by 10am. It was a smooth and comfortable trip across and with the sun on our faces and the mountains to look at; it couldn’t have been any more enjoyable. We landed at Kootenay Bay and drove off to truly get our road trip under way. The Kootenays or the Kootenay to Region takes its name from the presence of the Kootenay River. The Lake is part of the river and has become a popular tourist destination, particularly during the warmer summer months. The ferry crossing that connects Balfour and Kootenay Bay runs all year round and is completely toll free. It’s a useful way to quickly and conveniently (45 minutes) access the other side of the lake and is a great way to relax with the wind in your hair. The lake is long and narrow and being situated between the Selkirk and Purcell mountain ranges, ensures that the views are never anything less than spectacular. As well as the scenery, the lake offers numerous species of fish including rainbow trout, yellow perch and kokanee salmon. Many people come to this spot to charter a boat and head out on the lake to see what they can catch. Creston and back to base via the beach! We took Highway 3A along the shores of the lake, all the way down to Creston. The roads are in good condition and there are plenty of twists with places to stop and snap a few shots. We stopped briefly in the valley of Creston and sampled a glass of Kokanee Beer and bite to eat. The beer has been brewed here since 1959 and wasn’t half bad at all. From here it was back up north through Trail and Castlegar to Nelson. 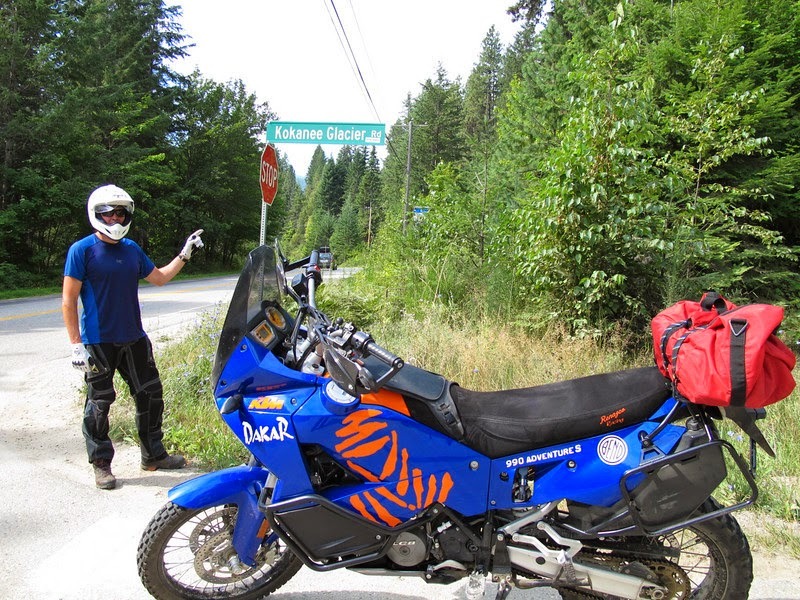 Between Nelson and Balfour we came across Kokanee Creek Provincial Park and decided to make another stop. Here we found a number of stunning beaches, some business than others. It seemed like a very fun and enjoyable spot to come back to with children. We found a good looking restaurant nearby and then retreated back to base at Toad Rock. 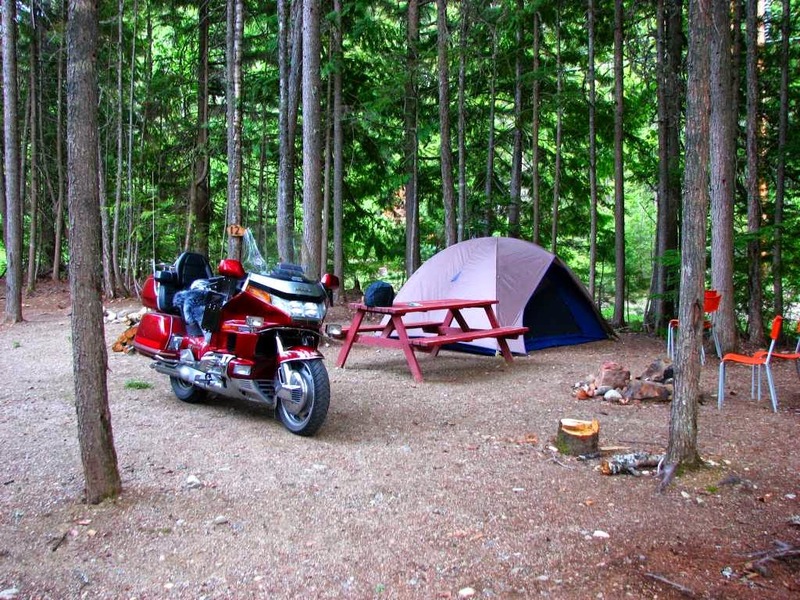 Toad Rock Motorcycle Campsite is located almost exactly between Balfour and Ainsworth on Highway 31. It takes around half an hour to get to the city of Nelson from the campsite and just a few minutes to reach the ferry port at Balfour for the crossing to Kootenay Bay. It is a cheerful and affordable campsite with plenty of space and lots of opportunities to meet fellow bikers. Its location on the lake couldn’t be more ideal. There is easy access to a number of popular and world-class bike routes, as well as small and charming heritage towns, swimming spots and restaurants. In general, Toby tends to be more in favour of the camping than I am, but at this particular campsite I too enjoyed the atmosphere and the setting. There is plenty of space so you can set up somewhere quiet and out of the way but also a lovely little covered area, which has been aptly named the social pavilion. Here, I and enjoyed a game of pool or two with the owner, whilst Toby got chatting about the days ride amongst other things. The toilet facilities were as well as can be expected at a campsite in the middle of nowhere. Besides, anything that the campsite lacked was made up for immeasurably by the mountain backdrop and wild scenery. The hospitality of the owners, Grant and Marty, made the experience all the more enjoyable. 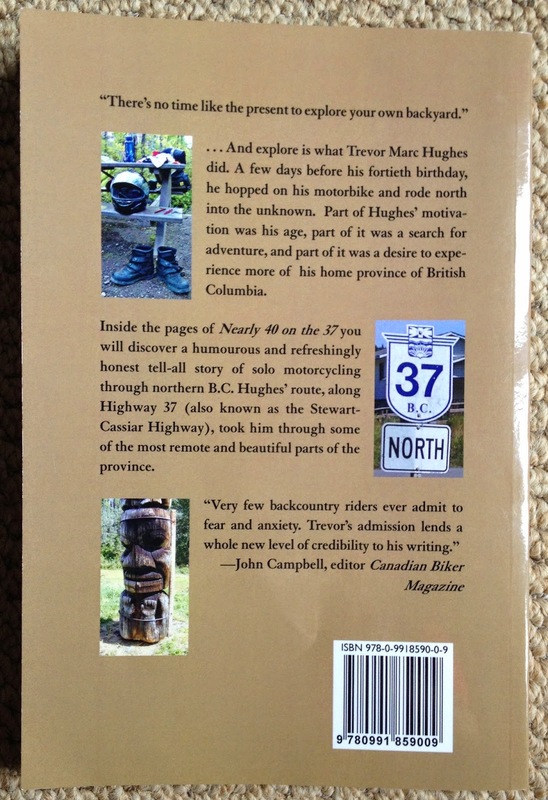 Tony and I both woke up slightly achy from a combination of riding and camping but eager to set off once again for more of the breathtaking sights of the Kootenays so we gear up and get ready to for that. This time we would give the ferry ride a miss with a route that required us heading straight up north to the quirky and charming village of Kaslo. From here we would continue on to New Denver, before completing the circuit by returning once again to Nelson. This route was almost the exact same distance as the previous day at roughly 216km. Again 3 or 4 hours would have been perfectly manageable, but where’s the fun in rushing? We travelled north on Highway 31 and it wasn’t long at all before we reached Ainsworth Hot springs. Ainsworth is a small and historic village with a tiny population of just 10 people. We only passed through on this visit, but we may well be back for a dip in one of the naturally hot water springs and to visit the Cody Caves. On we went to the wonderful and beautiful village of Kaslo. This place is well known for its natural splendour and quaintness, and has a population of just over 1000. 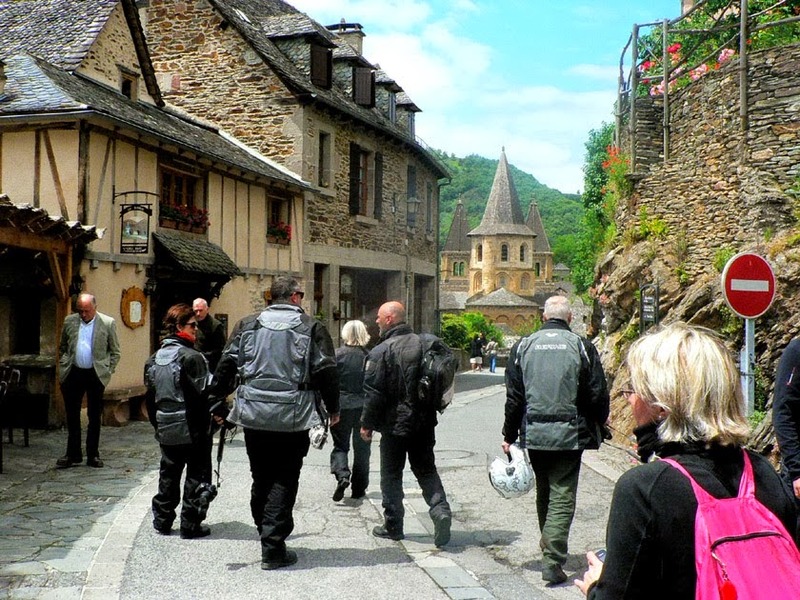 For us it was the ideal time of year to visit, with just the right about of people to create a good atmosphere, without the hustle and bustle of too many tourists. During our time here we were informed of the summer jazz festival, which sounds like a lot of fun and we may well return for. From Kaslo we headed across to New Denver in order to see what Lake Slocan had to offer. We weren’t disappointed. The views again are outstanding and there is so much wildlife to look out for as well as taking in the scenery. Over the two days we saw numerous impressive birds including bald headed eagles and osprey. Deer were abundant on the ground and we caught sight of a black bear, although couldn’t get the camera out in time! From here it was back south to Nelson and the familiar road back to base. 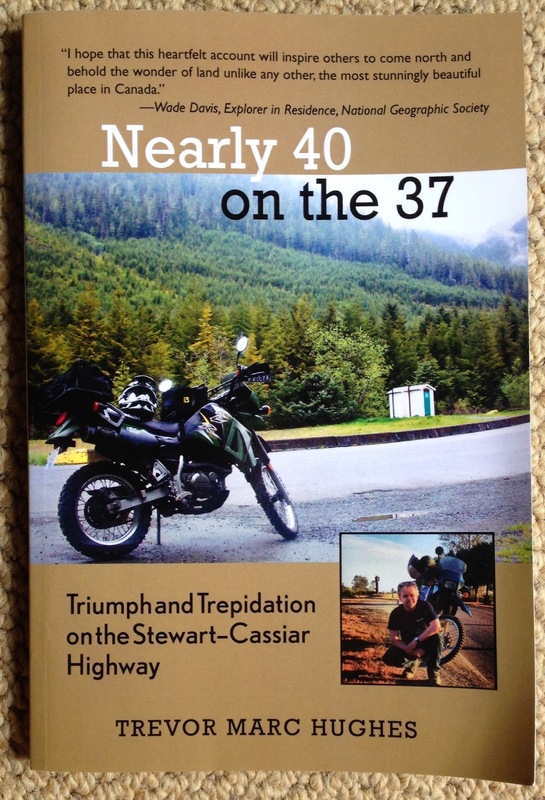 All in all it was one of our more memorable bike trips and we will certainly return to the Kootenay Region in the not too distant future. For those people wanting to do as much as possible in just one day, there are a number of options for incredible routes. 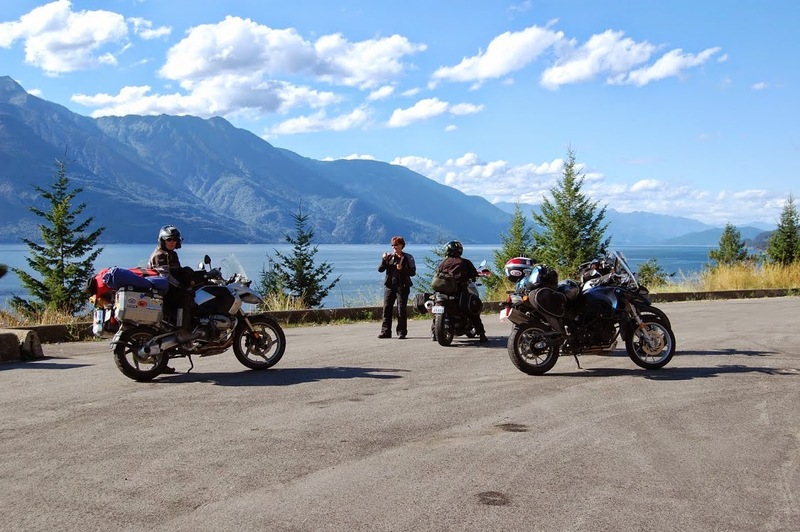 Creston to Kaslo and then possibly on to New Denver at Slocan Lake would give you the chance to make the ferry crossing and also see a good portion of the Lake Kootenay. 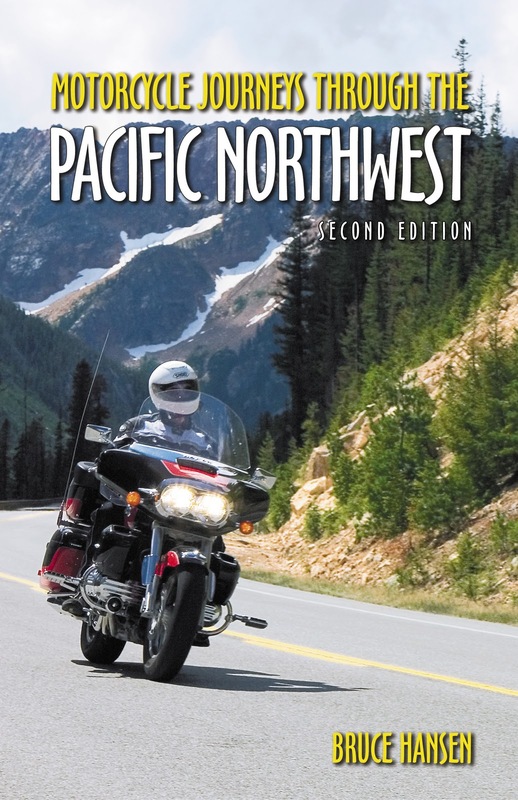 Another choice would be to again start at Creston but then head to Nelson after the crossing. This will allow you to experience some of the areas best roads. Of course, there are numerous routes and options to take. The longer you have here the better because there are loads to see and plenty to do, so enjoy the incredible settings and make the most of your time here!